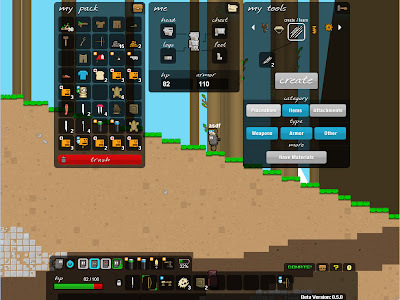 Epic Inventor is a new side scrolling, rpg/adventure, RTS and crafting game by Pixel Prone Games. The game is inspired by Terraria but with its own new additions and features. A new beta has been released for Windows, Mac and Linux recently. The game is available on on Desura too. You can download the game from here. Though the game will be available for Linux, the downloads section strangely only mentions Windows and Mac versions. You can download .jar file provided for Mac version, its working perfectly in Linux.